The course provides an in-depth understanding of the role that reservoir simulation plays in exploration and production companies. The course is hands on, looking at real case studies and focusses on practical problems and how to solve them. Simulation for pre-development and mature fields is discussed, providing an integrated view of modelling sub-surface, facilities and commercial operations. A refresher session on multi-phase flow in the reservoir and production facilities is followed by the numerical treatment of the equations of flow, and how these equations are solved using modern computer hardware. The reservoir simulation workflow is presented, from geological modelling, fluid property characterisation and handling of well completion and production data. The modelling of geological structures including pinch-outs and complex faulting is discussed, together with techniques for interpolating poro-perm distributions and upscaling from geocellular-geostatistical models. Data preparation of fluid and rock properties and initialisation of the model is illustrated by field examples, together with preparation of well production data. These concepts – geology, rock and fluid properties, well data – are illustrated using hands-on models including a gas-condensate reservoir, oil reservoir under water-flood, and a three-phase reservoir with aquifer influx. Uncertainty analysis is introduced by identifying the major uncertainties that impact production forecasts, together with how this analysis is extended to history-matching and planning robust field developments. The course participants will be able to run the case studies using RFD’s tNavigator suite and investigate the impact of model assumptions on field development and economic planning. Engineers with a good understanding of reservoir engineering principles and a basic knowledge of reservoir simulation. Also, for practising geoscientists who need to work with and supply data to reservoir simulation engineers. 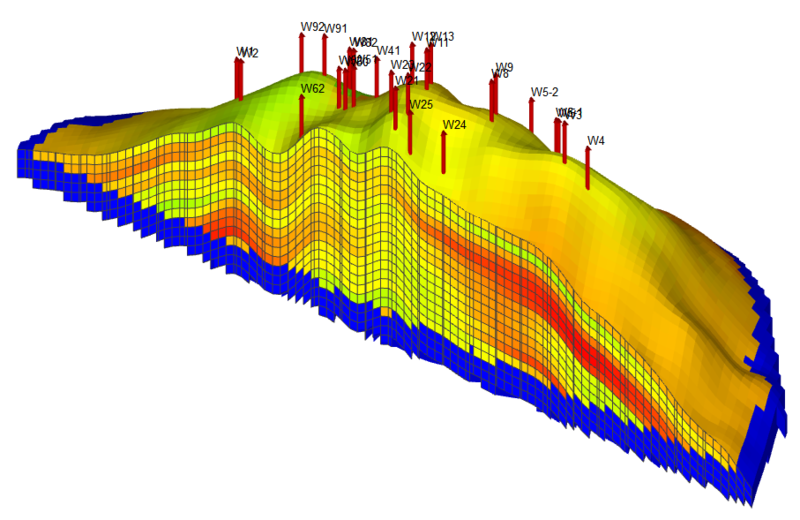 Learn the role reservoir simulation plays in the modern oil and gas company. Discuss the different types of model from pre-development and mature field to integrated asset management. Understand reservoir simulation workflows including building simulation models from mapped data to upscaling geocellular models. Learn the data requirements of reservoir simulation and how to prepare and QC data from different sources. See these concepts integrated in field-scale case studies including a gas condensate, oil water-flood, and three-phase reservoir with aquifer influx. Understand the concept of uncertainty analysis and how to identify the important parameters for sensitivity analysis. Use modern methods including experimental design and stochastic optimisation to carry out history-matching.